The first Article is “Employment of social networks in the service of the educational process: why? In what? And how? By Prof. Dr El-Dahshan, Gamal Ali, Professor of "Foundation of Education", and Dean, College of Education, Menoufia University, Egypt. The second Article is “Meta-Analysis of the Behavioral and Cognitive Effects of Interactive Video Games on K-12 Students” By Prof.Dr Alturki, Uthman T. Professor of Educational Technology, Educational Technology Department, College of Education, King Saud University. Saudi Arabia. The third Article is “The role of smart schools to face counterfeiting media Forms in its teacher’s point of view.” By Dr Ibrahiem, Heba Ibrahiem Gouda , Lecturer of Foundations of education, Faculty of specific education, Cairo University, Egypt. The fourth Article is “The extent to which E-learning is used to teach mathematics in the constructivist model” By Dr Al-Bado, Amal Mohammed Abdullah. Asistant Professor of Educational Technology, University of Creative Sciences, UAE. The fifth Article is “Exploring Reality of Human Development at Educational Institutions in Oman from the Principals' Perspective” By Prof.Dr Elsayed, Abdelkader Mohamed Abdelkader, Professor in Benha University, Egypt- Assoc. Professor in Dhofar University, Oman. And Mr. Soliman, Moosa Ahmed, Chair of Education Department, Dhofar University. Oman. The sixth Article is “The State of Learning Translation among English Majors of Al-Quds Open University: Obstacles and Solutions” By Dr. Ayman Hassan Abu Elenein, Assistant professor of Curriculum and English Instruction at Ministry of Education in Palestine and (part- time) Assistant professor at The Islamic University of Gaza. Palestine. The seventh Article is “The requirements of applying Lean production in Egyptian Universities.” By Mr. Mohamed Abdel Salam Mohamed Mahmoud El Balshi, An expert teacher in the Directorate of Education in Damietta Governorate. Egypt. The Eight Article is: “An overview of the research: Vocabulary learning strategies used By ESL Arabic-speaking students” By Ms. Suliman, Alya A. K. , PhD Student, Department of Digital Learning and Instructional Technology, School of Distance Education and International Partnerships, Andrews University, USA. The first Article is “Quality for Developing the Creativity” By Prof. Dr. Elmofti, Mohamed Amin, Professor of Mathematics Education and the former Dean of College of Education, Ain Shams University. Egypt. 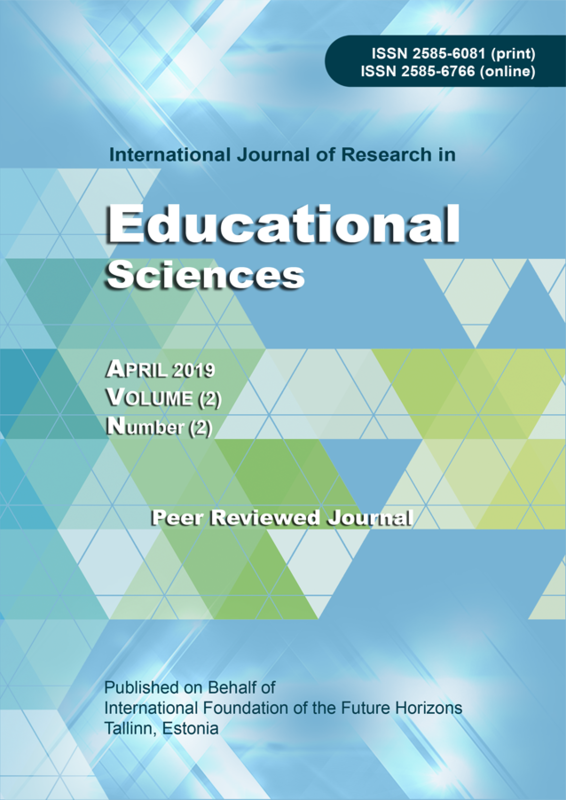 The third Article is “Readings in Teacher Preparation Standards in Gifted Education” By Prof.Dr Hussein, Hisham Barakat, Professor of Mathematics Education, King Saud University, Saudi Arabia. The fifth Article is “Suggestion Model to use the virtual museum tours in the development of technical knowledge and aesthetic values for students / teachers of the Wood Industries Division at the Faculty of Education and its impact on the cognitive motivation and educational efficiency” By Dr. Zarrouk, Sayed Mohammad, Associate Professor of Curricula and Methods of Teaching Industrial Education, Faculty of Education, Helwan University. Egypt. The sixth Article is “Evaluation of teaching performance science teachers in the middle stage on the light of 21st century skills” By Dr. ElHoteby, Dena Abd ElHamed ElSaid, Demonstrator at Curriculum and Instructions Department, College of Education, King Khaled University, Saudi Arabia. The seventh Article is “Report on the 8th International Scientific Conference of College of Education, Menofia University, Egypt. “Education of marginalized groups in Arab societies to achieve the goals of sustainable development: Opportunities and challenges" By Prof.Dr El-Dahshan، Gamal Ali, Professor of "Foundation of Education", and Dean, College of Education, Menoufia University, Egypt. This Issue (July 2018) is the third Issue of The Journal, The Issue has 12 articles: The 1st Article is (A conceived proposal for developing Teacher Education in College of Education) by Prof. Dr. Elmofti, Mohamed Amin, Professor of Mathematics Education and the former Dean of College of Education, Ain Shams University. Egypt. The 2nd Article is (Empirical Study in Foundations of Education: Bridging the Gap between Methodologically Targeted and Procedurally Possible), by El-Khamisy, El-Sayed S., Professor of Education Foundations, University Of Damietta, Egypt. The 3rd Article is (Terrorism in the Digital Era (Cyber Terrorism): Types، Risks & Mechanisms of Encountering) by Prof Dr. El-Dahshan، Gamal Ali, Professor of "Foundation of Education", and Dean, College of Education, Menoufia University, Egypt. The 4th Article is (The Absent Dimension in the Calculations of the Economies of Higher Arab Education) by Prof. Dr. Ghanaiem, Mehany Mohamed, Professor of Educational Planning and Economics of Education, College of Education, Mansoura University, Egypt. 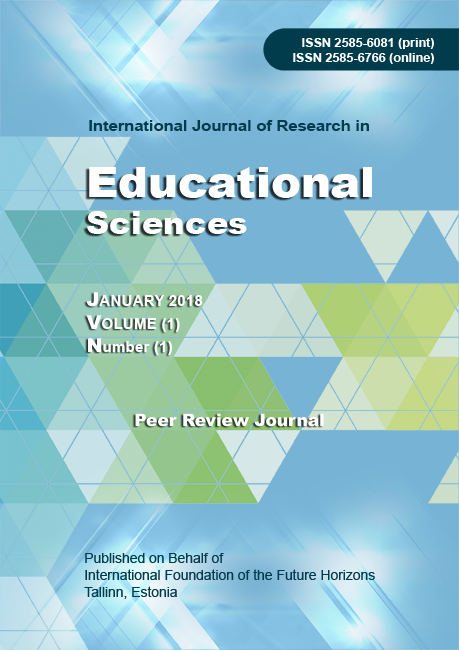 The 5th Article is (Confused Research issues) By Prof Dr. ALMaraghy, Sayed Shehata, Professor of Science Education, College of Education, Assiut University, Egypt. The 6th Article is (The Paragmatic Teaching of Oral Communication Skills in Arabic Language Teaching Programs for Speakers of other Languages) By Prof. Dr. Suleiman, Mahmoud Jalal El-Din, Professor of Curriculum and Methods of Teaching Arabic Language, College of Education, Damietta University, Egypt. The 7th Article is (Analysis of the Graphological features of Saudi Gifted students participating in the International Olympiad of Mathematics) By Prof. Dr. Alnatheer, Mohammed Abdullah, Professor of Mathematics Education, College of Education, King Saud University, Saudi Arabia. The 8th Article is (An educational proposal based on the humanistic teaching To activate the teacher role in educational counseling) By Bouaicha, Noura , An Associate Professor of Educational Psychology, College of Social and Human Sciences, Qasidi University, Marabah, Ouargla, Algeria. The 9th Article is (The role of Faculty Member in Jordanian Universities in Educating Students of the Risks of Extreme Terrorism Thoughts and improving their National Sense as Perceived by Students.) By Dr Al Khzaleh, Ahmad Mohammad, Educational Researcher, MOE, Jordan. The 10th Article is (The extent of the practice of school directors' intellectual security to confront the phenomenon of extremism in the intermediate stage, from the point of view of the managers themselves.) By Dr. Al tameemi, Ra’ed Ramthan Hussein, A university teacher in the General Directorate of education, Thi Qar, External lecturer at the faculty of education for girls, Thi Qar, Iraq. The 11th Article is (The Effect of Using Reflective Teaching Strategies on Developing Classroom Performance of Prospective Teachers of English at Al-Aqsa University.) By Dr. Abu Elenein, Ayman Hassan Ahmad, An Assistant Professor of Curriculum and English Instruction at Ministry of Education in Palestine and in Palestine Polytechnic University. This Issue (April 2018) Is The Second Issue of The Journal, The Issue has 12 articles: The 1st Article is (Strategic Trends for Development Education Systematic.) by Prof. Dr. Elmofti, Mohamed Amin, Professor of Mathematics Education and the former Dean of College of Education, Ain Shams University. The 2nd Article is (Educational vision for future challenges facing the Arab nation) by Prof Dr Aljouni, Mejbel hammad Awad, Professor of Mathematics Education, College of Education, Ibn ALhaitham, Baghdad University, Iraq. The 3rd Article is (Scientific Research in the Arab World: Reality and Suggestions for Development) by Prof Dr Alsayed, Abdelkader Mohamed, Professor of Mathematics Education, Benha University, Egypt, and Dhofar University, Oman. The 4th Article is (Absent Duties in Educational Research: Synthesis Research As a Model) by Prof. Dr. Saleh, Saleh Mohamed, Professor of Science Education, college of Education, Director Open Education Center (OEC), Arish University, Egypt.. The 5th Article is (Publishing In distinguished scholarly Journal) by Prof Dr. Hussein, Hisham Barakat, Professor of Mathematics Education, King Saud University. Saudi Arabia. The 6th Article is (The Role of ICT in Supporting the Democratic Movement: Digital Democracy as a Model) by El-Dahshan, Gamal Ali, Professor of "Foundation of Education", and Dean, College of Education, Menoufia University, Egypt. The 7th Article is (Developing the Teacher Education Program in Arab Countries) by Prof Dr Moustafa, Ahmed Alsayed Abdel Hameed, Professor of Mathematics Education, College of Education, and former Vice President of Minia University. Egypt. The 8th Article is (Program of Educational Cells for Education of Syrian Refuges) by Kenawy, Shaker AbdelAzim Mohamed, Professor of Curriculum& Instruction of Arabic language Education, College of Education, Helwan University, Egypt. And Dr. AbouAlfotouh, Mohamed Alhossany, Assistant professor of Educational psychology, imam malik Academy Istanbul , Turkey. The 9th Article is (Developing Creative Teaching Skills Which Suitable with Practicing the Authentic Teaching Standards for Arabic Language Teachers) by Prof Dr. Mahmoud, Abdel Razek Mokhtar, Professor of Curriculum& Instruction of Arabic language Education, College of Education, Assiut University, Egypt. The 10th Article is (Improving Reading and Reading Engagement in the 21st Century) by Dr Saif , Nayel Youssef, Associate Professor of Curriculum& Instruction of Arabic language Education, College of Education, Assiut University, Egypt. The 11th Article is (Education and the Arab Spring: Resistance, Reform, and Democracy) by Alharbi, Mohammed Abdullatif , PhD Researcher in Andrews University, USA. (In Arabic Language). The 12th Article is The same Article but In English Language. 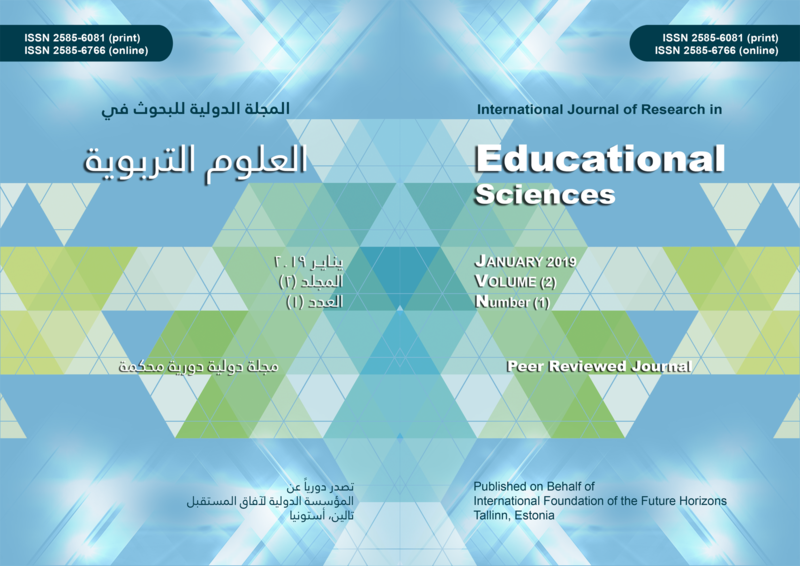 This Issue has seven articles: the first article is (Issues in Educational Research: Vision and Proposals) by Prof. Dr. Mohamed Amin Elmofti, Professor of Mathematics Education and the former Dean of College of Education, Ain Shams University. The second Article is (Towards an Arab Impact Factor for Quality and Evaluation the Journals and Scientific Research which Published in Arabic: Necessities, and Requirements) by Prof. Dr. Gamal Ali El Dahshan, Professor of Education, and Dean of College of Education, Menoufia University, Egypt. The third Article is (In the Informatics Era. What Happened? What do Educators Want? ) by Prof. Dr. Abdul hafiz Mohamed Salamah, Professor of Educational Technology and Dean of College of Education, Meddle East University, Amman, Jordan. The Forth Article is (The World of Saied Othman) by Prof. Dr. Monir Hassan Gamal Khalil, Professor of Cognitive Psychology, College of Education, Arab Open University, Riyadh, Saudi Arabia. The Fifth Article is (Teaching Mathematics and Developing Students' Thinking Skills) by Prof. Dr. Alazab Mohamed Alazab, Professor of Mathematics Education, Benha University, Egypt. The Sixth Article is (The Activities and Mathematics Teaching) by Prof. Dr. Shereen Salah Abdul Hakeem, Professor of Mathematics Education, Girls College, Ain Shams University, Egypt. 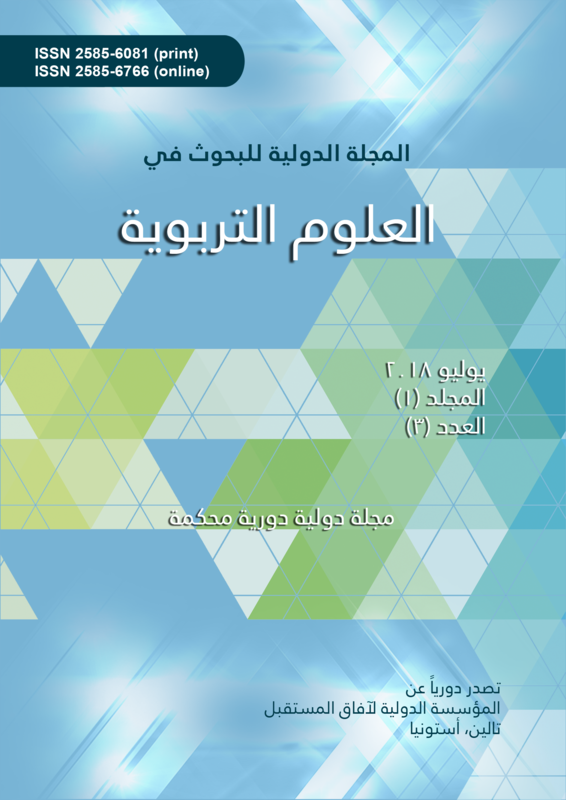 The Seventh Article is (Model of Strengths of Cognitive Cognation Levels for Developing the Learning Power: A new Approach in Teaching and learning Philosophy) by Prof. Dr. Mohamed Abdullah Alnatheer, Professor of Mathematics Education, College of Education, and Founder the Educational Center for Professional Development, King Saud University, Saudi Arabia.